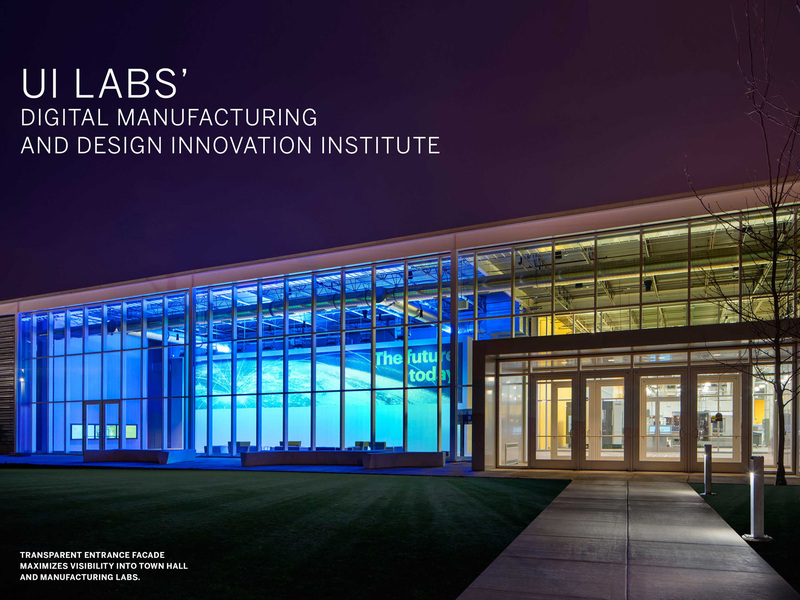 Located on Chicago’s Goose Island, UI Labs’ Digital Manufacturing and Design Innovation Institute is the first lab of its kind in the U.S., enabling side-by-side collaboration as university and industry partners reinvent 21st century manufacturing. 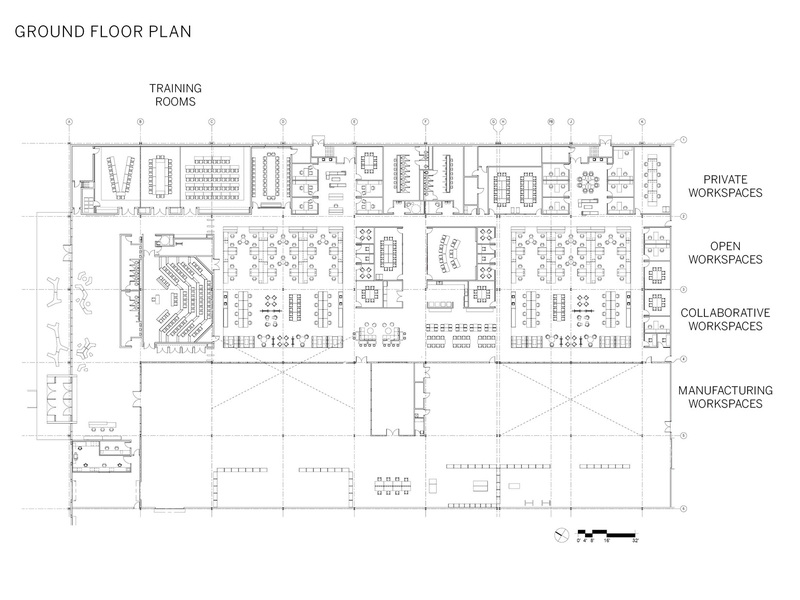 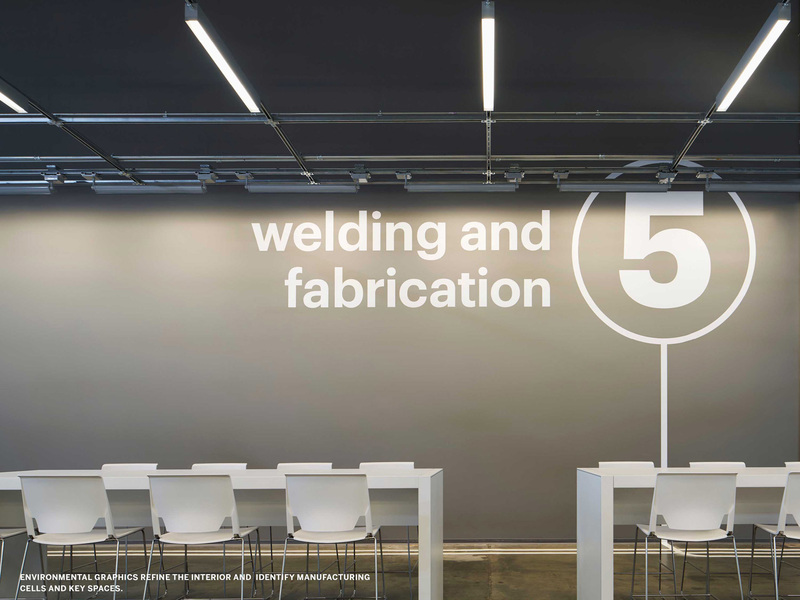 Flexibility and visual connectivity underpin the design of the 64,000 SF facility. 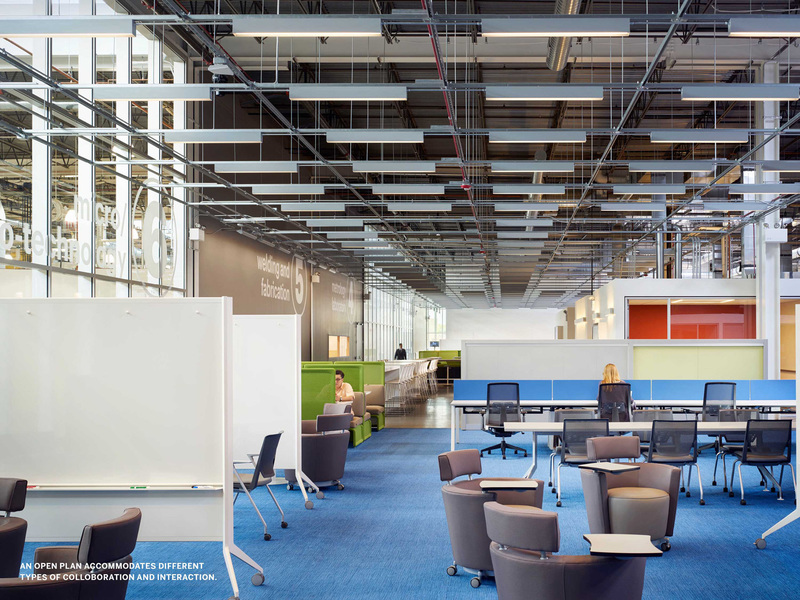 Visitors step into a double-height “town hall” open atrium that leads to a state-of-the-art classroom and a multi-purpose room, which have been equipped with the technology that supports off-site collaboration. 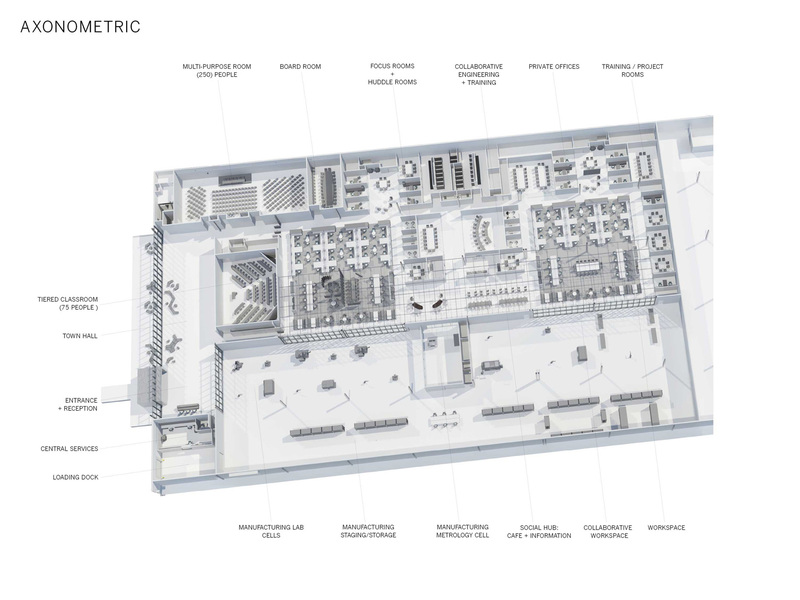 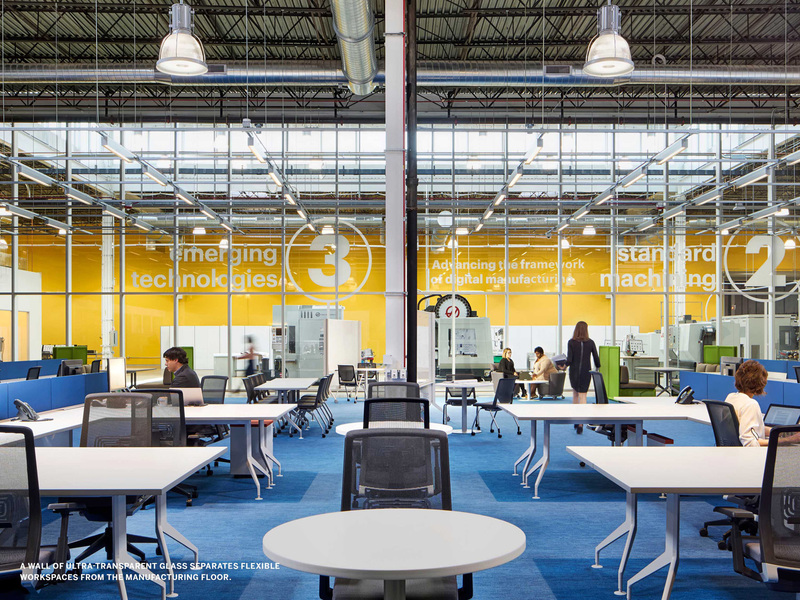 Behind the town hall lies a 22,400 SF digital manufacturing floor, collaborative engineering space, two open workspaces, a café, staff offices, and meeting rooms. 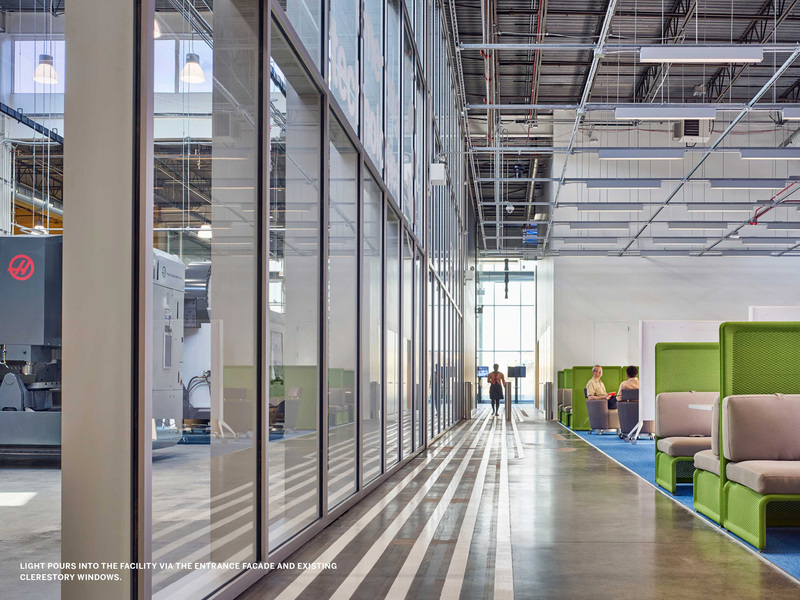 A wall of ultra-transparent glass separates the manufacturing floor from the open workspaces, making activity visible and helping to diffuse daylight from the existing clerestory skylights deep into the facility. 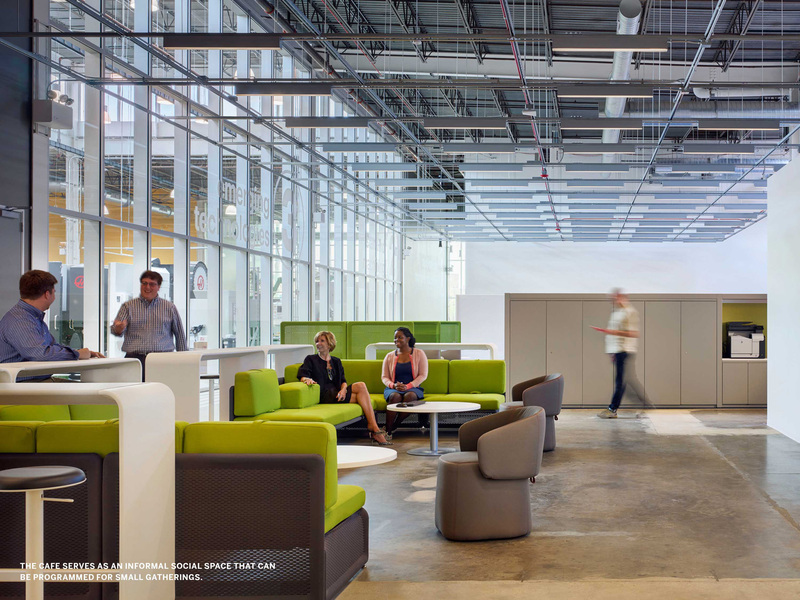 Workspaces accommodate a variety of densities and furnishings to foster collaboration, make spatial re-programming simple, and keep sightlines clear. 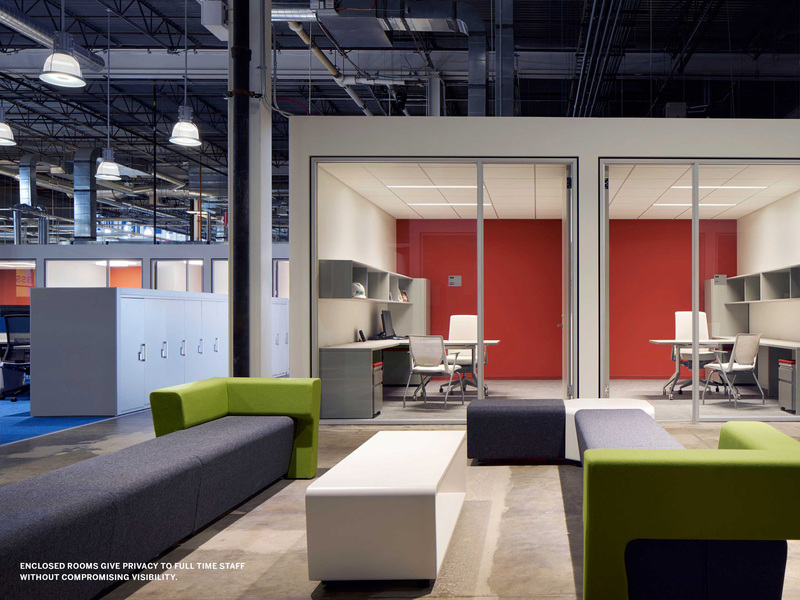 An environmental graphics suite brings further cohesion, information, and inspiration to the interior. 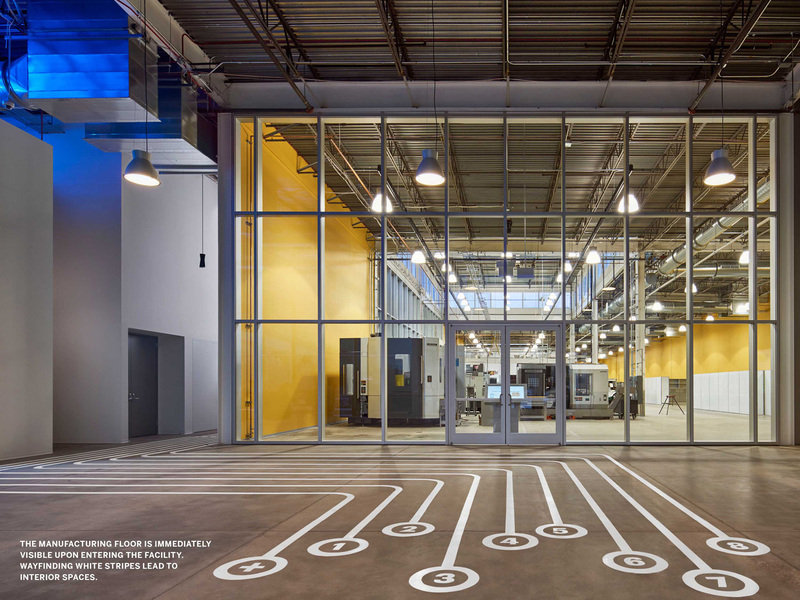 Prominent elements include a large-scale magnetic storyboard wall; two sculptural pieces that display the names of UI Labs’ partner institutions; and wayfinding white stripes, painted on the concrete floor, that lead to different spaces within the facility.